Check out the on-demand archive of the first episode of Big Brother Extra! with Bunky and Keesha. Bunky and Keesha hosted the first episode of Big Brother Extra! on Thursday, July 2nd. Be sure to join us Thursday, July 9th at 7pm Eastern for Bunky and Memphis. For more information, visit our streaming page at BigBrotherExtra.com. Did You Enjor Big Brother Extra!? You can help support WeLoveBigBrother.com and Big Brother Extra! 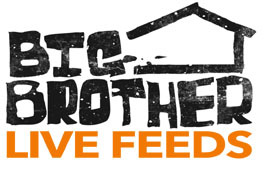 by signing up for the 24/7 live feeds — AND get a free and custom email @ WeLoveBigBrother.com. Get your free email address and the live feeds by signing up for the live feeds right here. Have you signed up for the 24/7 live feeds with the earlybird pricing? Sign up before premiere night and save $10 — that’s only $29.99 for the entire Big Brother 11 season! Make sure you sign up today to be ready for Big Brother 11! If you have Skype, please email your information to skype AT welovebigbrother.com because we would like to have some guests join us live via Skype during a future show.